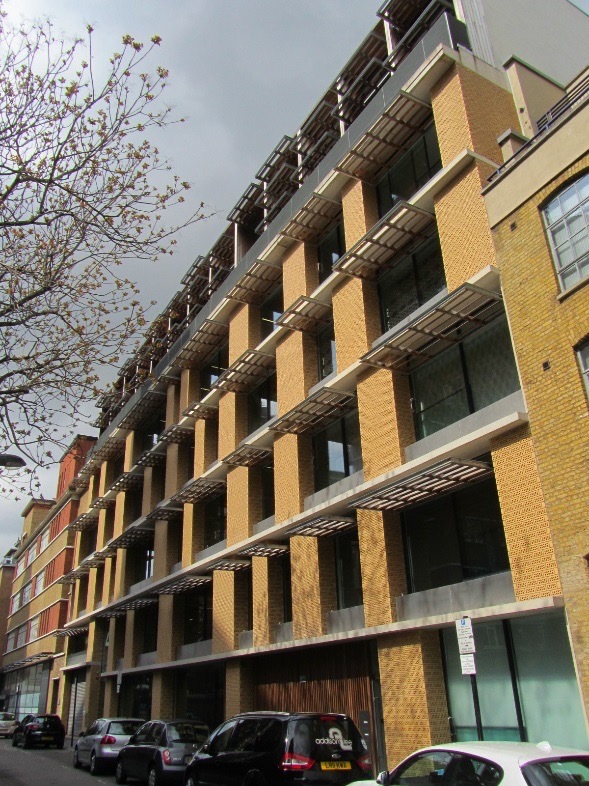 Supply and install brise soleil frames, various internal stair structures (complete with balustrades), roof cowls and 22 tonne of structural steelwork at roof level to create an additional floor..
55 Gee Street is a long thin office building coupled with 6 apartments to achieve mixed use. 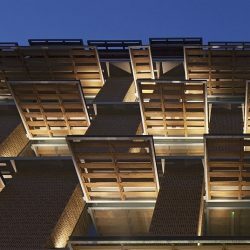 The facade concept is for horizontal continuity to emphasize the length with vertical discontinuity to reduce the appearance of height in the historic Clerkenwell warehouse area. 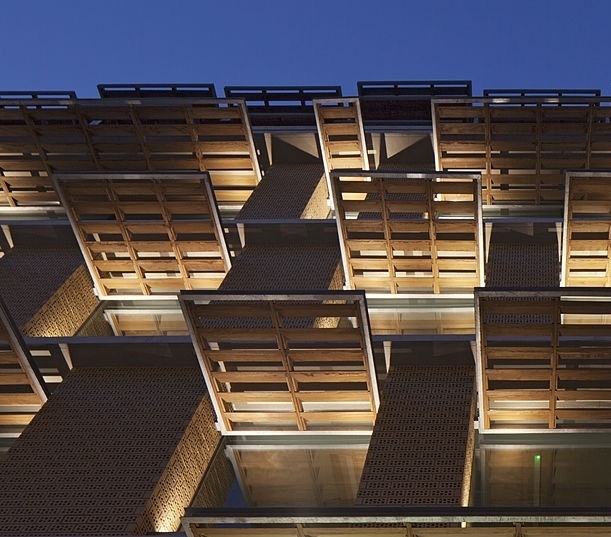 The depth of the south-facing street facade is further underscored by means of emphatic horizontal louvers arranged irregularly over the window openings and shielding them from direct sun. 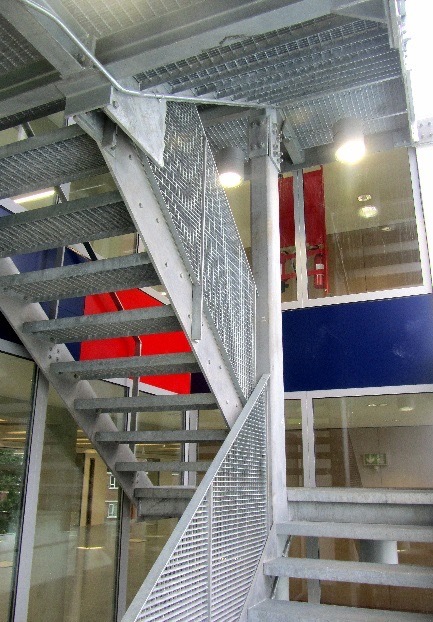 We undertook the steelwork and metalwork packages for Morgan Sindall. 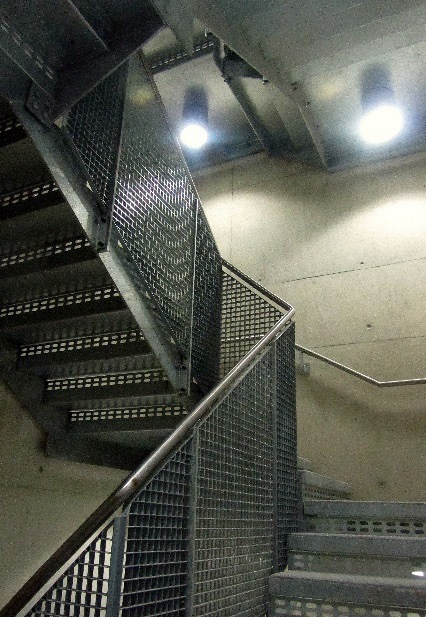 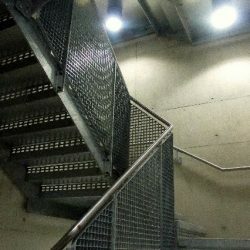 The main body of the building was RC concrete with a structural steel frame at roof level to create an additional floor. 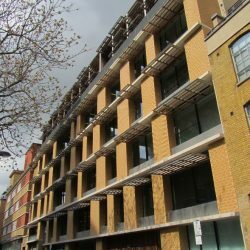 We supplied approx 30 tonne of roof steels, all erected using a tower crane in an extremely tight, challenging site in the heart of London. 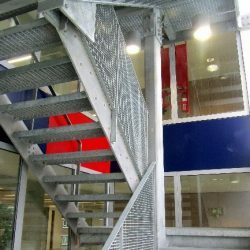 On top of this we were asked to supply and install brise soleil frames, various internal stair structures (complete with balustrades).